Mortgage loans are at the core of society. One of our basic needs as hu-man beings is shelter. Buying a TV, embarking on holiday travel, starting a business, or even sen-ding your kids to college... These are choices you can choo-se not to make in order to avoid becoming indebted. But not ha-ving a home isn’t —or shouldn’t be— an option. account for only a third of home purchases1. Even when someo-ne is able to pay cash, a small mortgage loan might continue to be preferable as mortgage interest payments can, in some places, be deducted for income tax purposes2. 14.29 trillion, almost reaching pre-2008 global financial crisis levels3. This number is expected to reach US$ 31 trillion in 2018, at the global level, according to Market Reports Online4. In relative terms, on the other hand, one finds that in a sma-ll country like Israel, 61.53% of household debt and 37.29% of all debt stems from housing loans5. in complexity during the past three decades, due to the trend towards securitization, which has significantly amplified finan-cial supply. Nevertheless, mortgage lending processes remain mostly paper-based and involve many players, making them complicated, tedious and slow. paperwork they need to manage. But the large amount of documents that need to be filled and the number of entities invol-ved in the mortgage origination process are a consequence of two facts. First, there’s a real need for information gathering, analysis and checks to guarantee that the mortgage loan will be repaid. Second, this continues to be a paper-based legacy process that has not been sufficiently modernized and aligned with technological progress. immutability, it is an effective move toward digitization, not only of mortgage documentation but of all related business processes. order to point out the shortco-mings of the current system. As will be observed, many of these problems can be addressed through blockchain technology. current limitations in the tradi-tional credit risks models, do not possess a solid credit score but are otherwise creditworthy) to access to housing financing and solve one of their most basic aspirations: having a home of their own. This chapter will discuss Ho-melend’s go-to-market strategy as well as revenue sources and monetization opportunities. 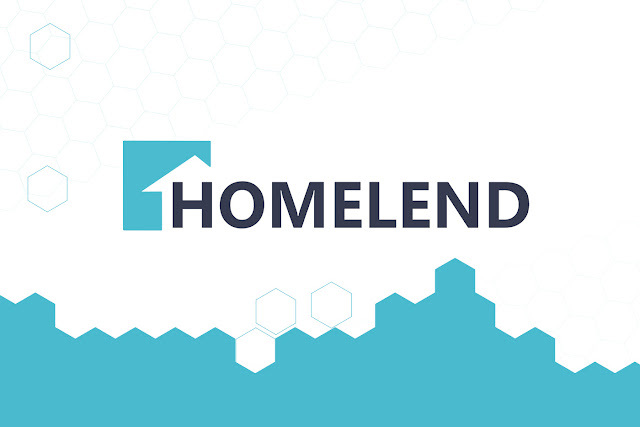 In this chapter, we will exp-lain the use, functionality and characteristics of a token to be issued by Homelend through a Token Generation Event (TGE), also commonly known as an Initial Coin Offering (ICO). This token, simply called the “Ho-melend token” and identified as HMD token, will be the fuel of the P2P lending platform, as will be discussed in more detail. team, and it is based on several reasons and goals. Below we describe the rationale behind the issuance of HMD tokens. The HMD token is the fuel powering the Homelend peer-to-peer lending platform. It's main functionality is to grant access to the Homelend platform. This utility token also plays an instrumental role in enabling a fast, smooth and user-friendly workflow that is unified and secure. All tokens can be converted to and from HMD.